I’d been waiting all morning and scoping it out and when I saw it I knew I was in trouble! It was a beard and it was BIGGER than mine! Hold on…let me just set the scene here, it’s the 20th of October and I am standing out the front of the Lake mountain ski resort in Victoria. Decked in my race kit with coffee in hand and the highly anticipated La Sportiva Lake Mountain Skyrun was about to start in one hour’s time….and of course I am scoping the competition. 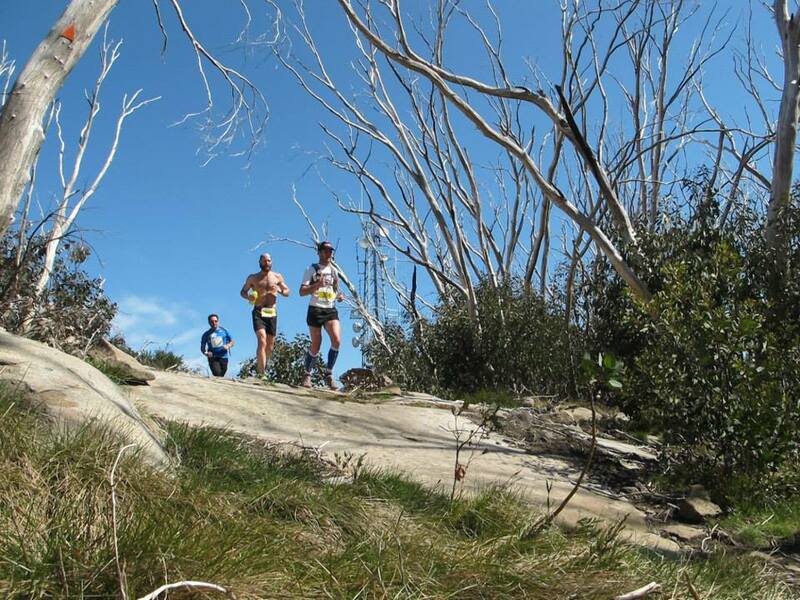 The Lake mountain race is a new addition to the recently formed La Sportiva Mountain Running Series (VIC). It was advertised as 31km (but we will talk about that little fact shortly) and from what I had seen already was going to offer us some of the sweetest alpine single track and stunning views the area had to offer. I had flow down on a quick trip just to race this event and while it is a little short of what I usually justify interstate travel for I was keen to help support La Sportiva and Runnning Wild in the new event as it also doubled as the Launch of the 2014 La Sportiva Vertical Km series. Anyway back to the beard, well that belonged to mountain man Chris Wright. 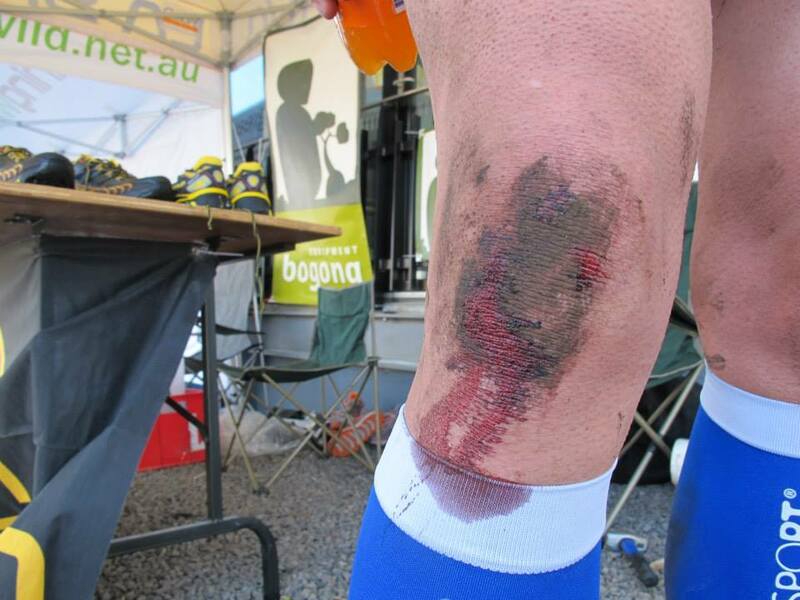 I knew Chris and had previously raced him in the 2011 Bogong to Hotham race however this time Chris’s beard was longer and much denser meaning only one thing….he had been training in the mountains and HARD. 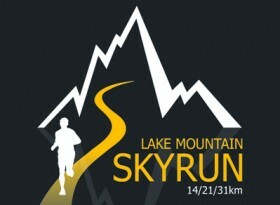 (FYI there is a direct relationship between ones mountain running ability and their bread length in the trail world). Before long it was time! GO……we were off and 170 surged forward for a quick loop around the resort and then straight into the good stuff…sweet alpine single track. At this stage I just settled in behind Chris and from what I could barely see (Chris is a bit of man mountain about 6.3ft tall I think) there where two other guys in front of him. It wasn’t long before I felt the pace drop a bit and it was clear the two in front had gone too hard. 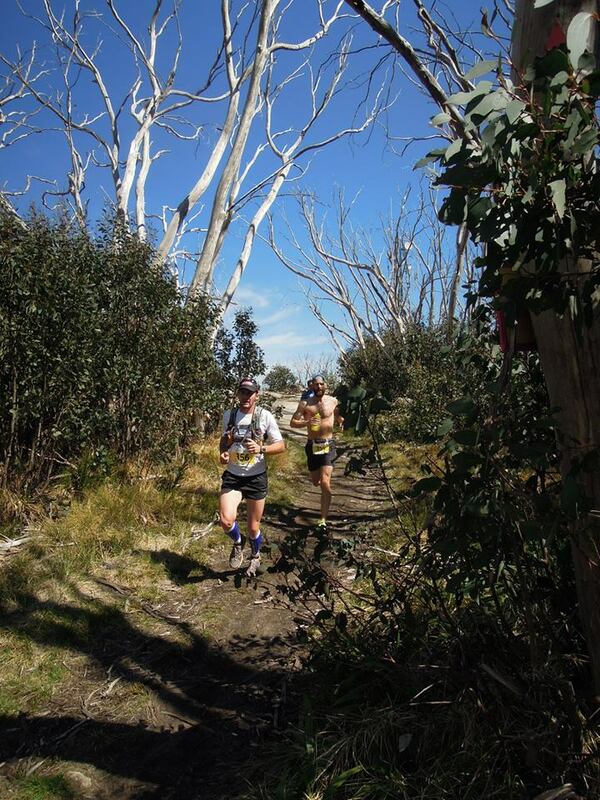 With seamless ease Chris and I slipped past them and put the foot down, we ran up over the summit and back into some fast and technical single track for the run off the back of Lake Mountain I looked behind…no one, this was now a two horse race. The single track through this section is some of the best I have ever run, fast and technical, boulders, sticks, switch backs and a gradual decent grade…heaven! Chris was leading through here and we weren’t stuffing around clocking off 4.30s on the technical trail. Chris and I flew into an intersection where the shorter distances turn back towards the resort and the long course (us) turn out to the fire road the race marshal must have confused us with short courses due to our speed and sent us right. It wasn’t until about 8km of single trail later when we popped out into the resort car park that we knew something had gone wrong! Fearing the worst we jogged over to the Race director to figure out what went wrong. Thankfully the looped nature of the course played to our advantage and we were directed to run the single track loop again then proceed out on and finish with the fire trail loop. We would cover exactly the same ground as everyone else just in a different order. So once again we were off! Back into the single trail we went this time over taking the back end of the 14km runners. Chris and I spoke a bit about our frustrations and mostly about that fact that now it was a big time trial as we wouldn’t know if 3rd place would come storming home so we would just need to complete the course as fast as we could and hope for the best. As we flew down the back side single trail (this time at 4:05 pace) I stepped on a rock the wrong way and went down in spectacular fashion only to see Chris clear jump me mid roll! I popped back up went to continue but my ankle had copped it bad, I spent about 100m hobbling down the track until it came good enough to pick the pace back up and catch Chris. As it turns out afterwards I had cut my knee and torn a hole through my shoe in one trip! This time we hit the intersection, went the right way and powered down the fire road. The course from here gradually descended before bottoming out and starting a 5kmish climb up to a hut…all on fire road and all douche grade! Chris was motoring and we climbed up the douche grade fire road at sub 4.30s for the most part. I was starting to feel the lactic build in my legs and the hurt locker closing in. I had expected the race to be a series of steep climbs as is usually indicative of alpine running, so I had trained almost exclusively for grades 15-25%, and less so on fast running grades. 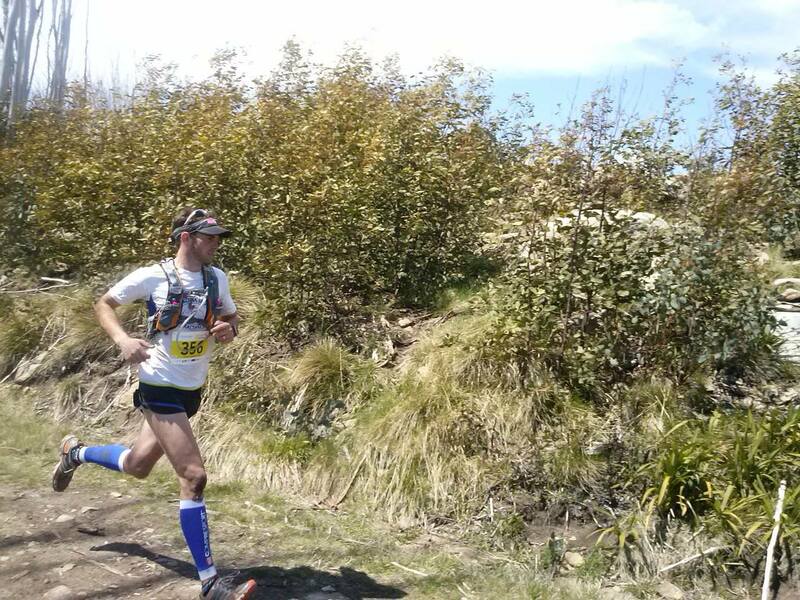 As we approached the top of the climb (26km in) we started to pick up the back of the 31km pack who were only 16km in. Chis over took a runner and my mind must have been in another world as I didn’t notice and when I looked up next he had put 15m into me…he made a move and I didn’t respond. I called down to the engine room for some power but my legs said a distinct “NO” to the increase in pace…Dammit my beard wasn’t long enough! Soon after I reached the hut Chris was out of sight but there was a little 150m out and back and I noted he had about 1min on me. Coming out of the hut the course plunges down into a very overgrown and narrow single track that then climbs up again for about 1km. The ground was overgrown and strewn with rocks and boulders and it was clear that with my dodgy ankle grumbling that running not an option here. I switched to hiking mode and thought…right I might make some ground here but my usual hiking power was nowhere to be found, I struggled to get my HR down and could really notice the thin alpine air sapping my usual strength. My pace dropped away over the next few km’s as I waited for what seemed to be an endless finish line. I passed 31km and was still climbing uphill gradually. It wasn’t until 33km that the long awaited downhill to the finish came. I coxed my blown legs to downhill and found a little something to push the decent and came into the finish at 2hrs 45min, 2nd place and some 7 odd min behind Chris. As it turns out the 31km race was actually 34km…nothing like some “free” distance thrown in, after all this is trail running! Afterwards there was a great atmosphere at race HQ, a café for much needed coffee and plenty of sun to sit around in and talk about our efforts, running and of course beard lengths. All in all a great event with some of the best single trail I have run! Thanks to La Sportiva who “billeted” me for the weekend, they are making some real moves in the trail scene and the new Vert K series looks INSANE! Thanks also to Chris for the long overdue whipping! 2x Gel flasks of Endura Gel.